February. Music events in this month are below average and we are always OPEN and waiting for you as a PUB! The next music event is organized by Jazz club of Hirosaki University. 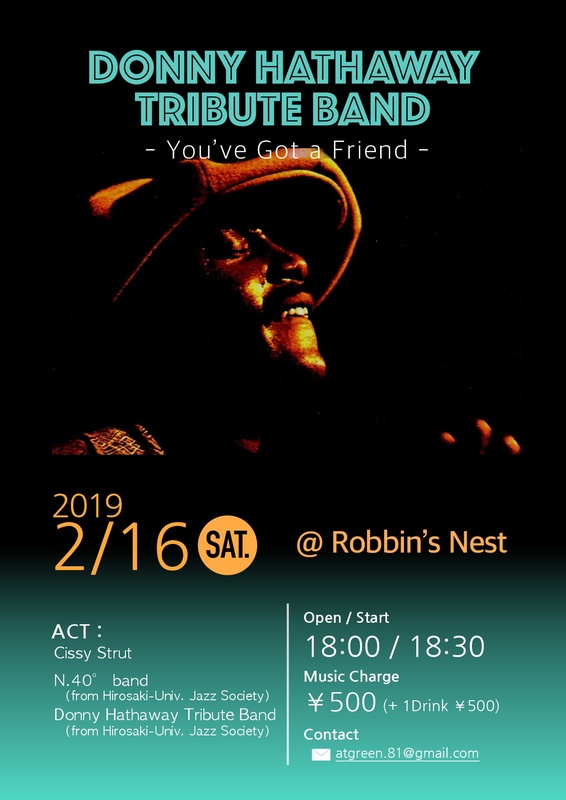 The poster may look familiar for some music fans and I’m also looking forward to seeing Donny Hathaway tribute band on that day! They have been saving points as given by using our studio and will use this to make the venue costs free! Please make full use of this system! !